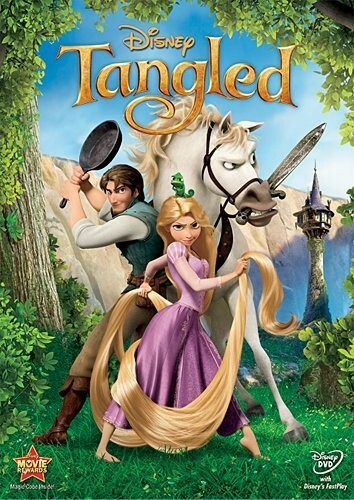 Disney's 50th full-length animated feature film, Tangled is a visually appealing, music-filled adventure full of romance and humor. The movie focuses on Rapunzel, a girl with long magical hair who's lived her entire life imprisoned in a tower by her greedy mother. Naturally optimistic and acquiescent, Rapunzel (Mandy Moore) rarely complains about her circumstances, but for her 18th birthday she longs to leave the tower to see the floating lights that appear every year on her birthday. 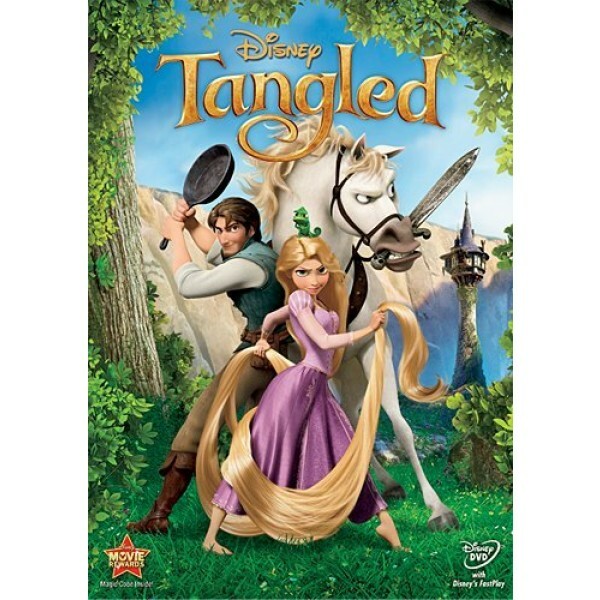 Her mother (Donna Murphy) refuses her request, but when thief Flynn Ryder (Zachary Levi) climbs the tower to escape his pursuers, Rapunzel (once she's conked him on the head with a skillet multiple times) impulsively decides to trust the young man and convinces him to help her escape to see the floating lights. Thus begins a journey that alternates quite schizophrenically between optimistic excitement and guilty remorse that will ultimately change Rapunzel's and Flynn's lives forever.